Dominates the scene the great dragon-headed fanged dog, long tail of newt, a mane of scales and webbed feet. The beast sprays jets of water toward Andromeda tied to a stump in front of him. 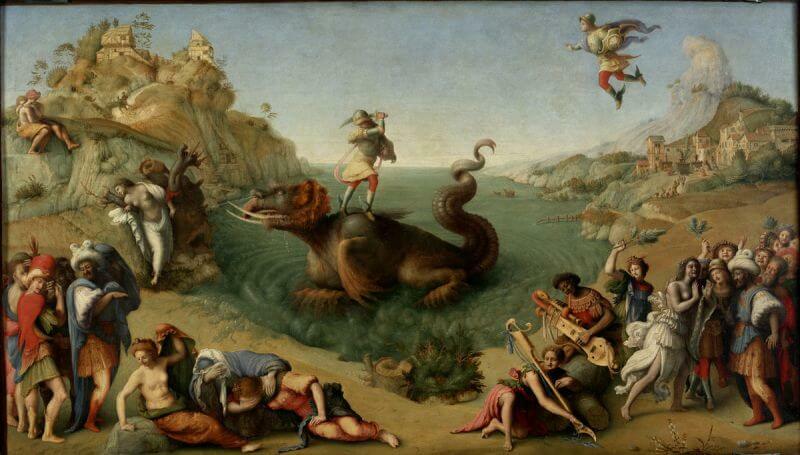 On the right you can see the winged Perseus which then settles on the dragon's back to run him through with his sword. It is a very particular subject to which experts attribute mostly a political meaning.